Payment Methods Worldwide Fast Free Shipping! 2. Order will be shipped to your verified address, please make sure it's correct before paid. Lightmalls.com Service center will double confirm the abnormal address with you. 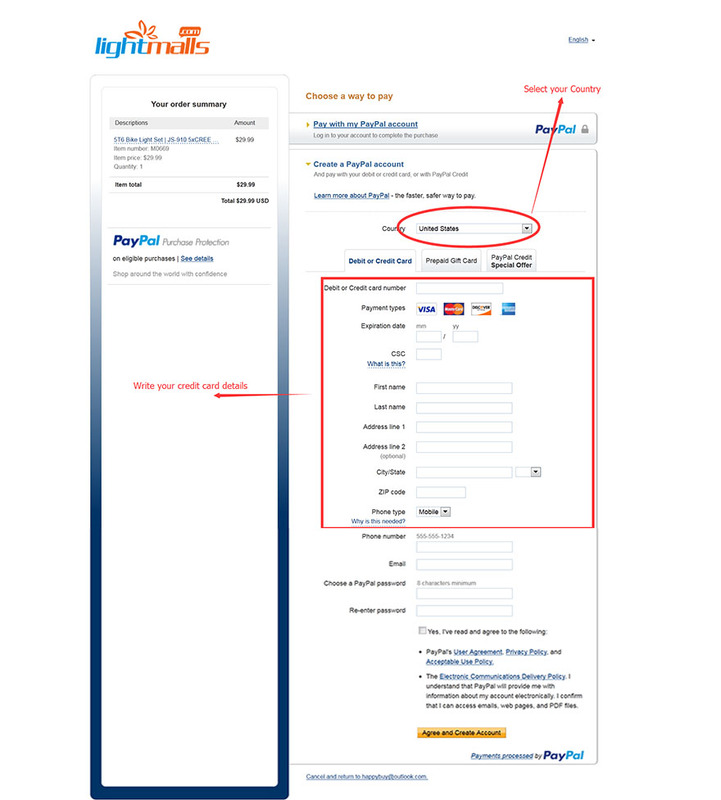 The Payment process of PayPal is easy when you shop on Lightmalls.com. 3. Generally, E-check and Payment Review will take 3-4 business days to complete totally. Can I know whether my country is available in PayPal? Yes. Normally you can register free for an account at www.PayPal.com -.but please note paying by PayPal is only possible in the countries listed on the web page. Yes. PayPal uses SSL technology to keep your information safe. In addition, when you send a payment using PayPal, the recipient won't receive sensitive financial information like your credit card or bank account number. In this way, you don't have to worry about paying people whom you don't know. PayPal is designed from the ground up to be a safer way to send money online. PayPal doesn't expose or sell your financial information to any merchant. How does the PayPal work? Why are PayPal so popular? PayPal is a safer, easier way to pay. You can use your credit card or bank account without exposing your account numbers. You can link your credit card or bank account to your PayPal account so you don't have to enter your card number or address anywhere you shop. Just log in to PayPal and quickly check out by a few clicks. 1. Click the Sign Up https://www.PayPal.com/us/cgi-bin/webscr?cmd=_registration-run link at the top of any PayPal page. 2. Select the country or region where you live from the drop-down menu. 3. Choose the type of account that works best for you. 4. Fill out the form and follow the online instructions. 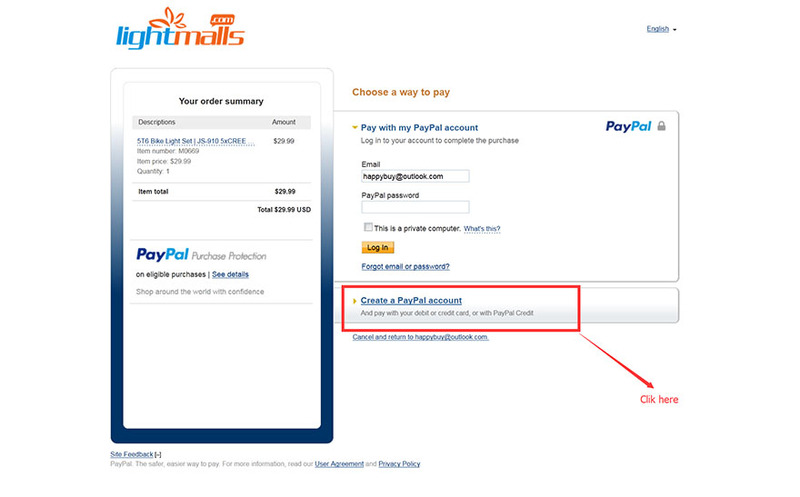 How can I contact PayPal when I have a question of PayPal? What is the advantage of using PayPal? Payment is traceable. You can trace the status of your payment by using your PayPal account. Payment does not require you to use your credit card online (you can transfer directly from your bank account). If you do use your credit card through PayPal, Lightmalls.com won't see your credit card number, minimizing the risk of unauthorized use.